Shortly after my time in the military I worked as a Project Manager for an Oil and Gas manufacturing company that specialized in equipment for offshore oil rigs. The shipyards were often in SE Asia (Korea, Singapore, etc. ).These tended to be long, drawn-out projects, lasting up to 5 years and with values ranging up to nearly a billion dollars for the entire drilling platform. These projects have a lot of moving pieces going all the way back to Feasibility and Detailed Engineering Design (DED) through Engineering Procurement Installation and Commissioning (EPIC); and all those pieces come together to create an offshore drilling rig that can potentially drill through 10,000+ ft of water before hitting seabed. One of the very last things that occurs when constructing these rigs is the definition of System and Safety Settings. This work happens after all the equipment is in place and (typically) function tested. It is the last steps prior to approval of the rig to commence drilling operations, and absolutely critical as tons of steel in the form of equipment and piping can all be moving at the same time in an area as small as 10' x 10'. It is a long and drawn-out process taking weeks as the crew proceeds from one piece of equipment to the next, ensuring that the safeties are in place and that they will not clash with other equipment that may be moving through the area. Add in emergency stop buttons, sensors, and software, across a construct the size of a sky-scraper and I think you can see why this may take a while. And these steps must be performed absolutely last! The difficulty arises when the project starts falling behind. Equipment is delayed, steel fabrication misses a deadline, the construction crew falls behind... in a project of years there are thousands of ways a timetable can be moved. Contingency is eaten up and then everything becomes critical path as people scramble to get the rig out of the shipyard and heading toward the drilling location, where the company purchasing (or renting) the rig has their own timeline for spud-in and first oil. On more than one occasion, rather than performing the final systems work in the shipyard, the crew traveled with the rig as it crossed oceans, completing Commissioning and setting the System and Safety Settings. The crew lived on the rig for the 10-20+ days that the rig would be in transit, receiving parts via helicopter and communicating via satellite phones. Instead of having weeks, the teams would have days to complete the work... and be constantly harassed to move faster so that the rig can be ready the moment the first drilling crew comes on-board. 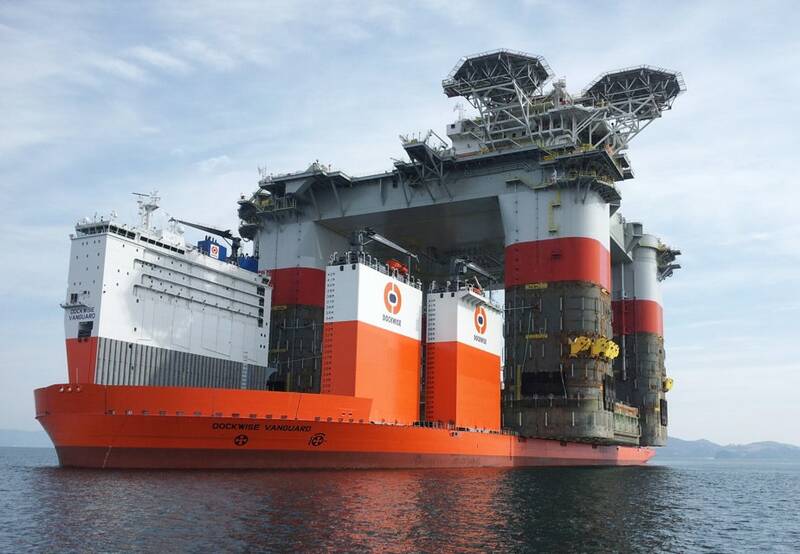 Never mind that the rig was months behind due to design, fabrication, and delivery issues, it is this team who bears the brunt of the pressure; not the engineers, drafters, manufacturers, nor project managers sitting back in their air conditioned offices. These teams, who are responsible for the safety systems of the rig, are pushed to move faster and yelled at when things "take too long" even though it is often through no fault of their own that they are working in the middle of the ocean rather than at the dockside of a shipyard. It is often said (including by me) that a Project Manager's (or Leader's) job is to absorb the blame, but unfortunately, the truth is that a Leader/PM will not always be present with the team every step of the way. On these jobs, the client won't pay for the PM to be on the rig in transit, and the employer won't swallow the cost. Instead, at least in my case, I sat back in an office and tried to get the teams the gear they needed and called the client regularly to ask that their people keep out of the way of my team trying to get the rig operational. Before you think that this only occurs in the Oil and Gas world, I've encountered similar in IT, as well as Event Planning, and Manufacturing. Whatever is at the end of a Project gets squeezed when the previous steps aren't kept on-time. For IT it is often testing and training. "Can we squeeze the training time?" "Do we really need to test end-to-end?" or "Can the users be trained on the job?" are common questions. For event planning it is the set-up time that bears the brunt, and in manufacturing it is typically quality testing. Why do these steps take the brunt of the pressure? Because they are the last steps in the way of the big finish, and everyone just wants to see the project done. These steps are critical, but because they are last, someone wonders if they are really necessary, need to be as thorough, or if they can be shortened. Regrettably, the best answer from a Leader/PM's standpoint is no. When these steps are shortened, or skipped, the end result is often sub-par and mistakes, errors, or oddities are missed and then can come back to haunt a project manager and his/her team. In the Oil and Gas example, what if one of the safeties isn't set properly? In some areas of business these final steps can actually save lives. So what is a PM/leader to do? First and foremost, don't let pressure cause you to skip tasks in the plan. Conduct the proper testing, finish the settings, and ensure that the team doing the work is supported as best you can. Second, don't let the earlier stages of the project slides or eat up your entire contingency. Project teams tend to expand the workload to meet (and often exceed) the allotted time, especially if they know there is a contingency. The more often that happens the more pressure the team members responsible for the final tasks will feel. Third, be prepared to protect the time it will take to complete the tasks properly. When someone comes to you asking if "you can speed this up?" you want to be able to reply with the reasons why it shouldn't. A final point to remember, if you shorten the time or skip the steps... It will not be the person who made the request, but the leader who will be the one responsible for the consequences. Don't let the pressure from others cause bad decisions that generate future problems. Protect the team, the project, and the final users/clients by doing it right.